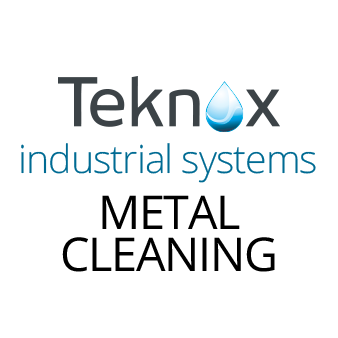 TEKNOX carries out its business with the aim of providing innovative technologies that are able to offer effective solutions to the problems associated with surface treatment and that meet the specifications of standards regarding the quality of washing processes. The washers are currently used in a wide variety of ways: from motorbike, car and truck mechanics to bus, underground, train and ship maintenance sector, from grinding to painting, from automotive to woodworking manufacturers, from foundry to automatic turnery, from petrochemical to cosmetic industry, from fruit and vegetable to food producers. Customers’ new and more demanding requests are the reason why Teknox constantly increases its skills. Our company, founded as SME Srl in 1967, has become over the last decades the reference in the parts washers for the Garage Equipment sector. 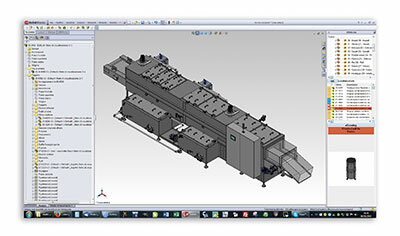 TEKNOX invests continuously in its production department, technical research and staff training. The premises in which the production department, engineering department and administrative offices are located covers an area of approximately 5000 square metres. Our sales network continues its positive growth trend and consists of hundreds of distributors and resellers allover the five continents. 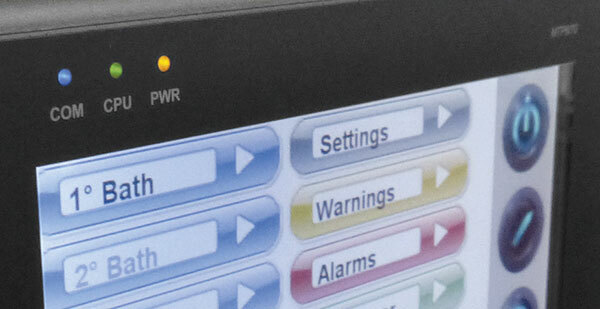 High quality and safety standards for control and testing. The sheet metal processing department produces most of the sheet metal products that are used to make the washing systems. 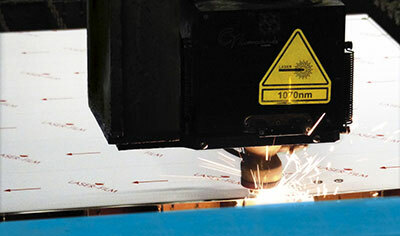 The company has its own facilities for laser cutting, punching, bending, welding and finishing the sheet metal products. For some of its parts, the company relies on other businesses that are specialised in processing stainless steel. The warehouse covers an area of approximately 1,000 square metres and handles approximately 12,000 product codes. Both commercial components and the internally produced semi-finished products are stored in the warehouse. The computerized warehouse management system enables the components to be accurately identified and stocks to be checked quickly. The quality control system for the semifinished products and the purchased materials ensures that there are no non-compliant items in storage. The assembly area that accounts for approximately 3,000 square metres is the largest in the production department. The highly qualified staff have several tasks: to assemble the components (electrical, mechanical and hydraulic) to the highest manufacturing standards, to test the systems and to answer requests for technical assistance. The engineering department is responsible for the 3D design of all the systems, from the individual components up to the finished product. This department also assesses customer requirements together with the cleaning and technical specifications. 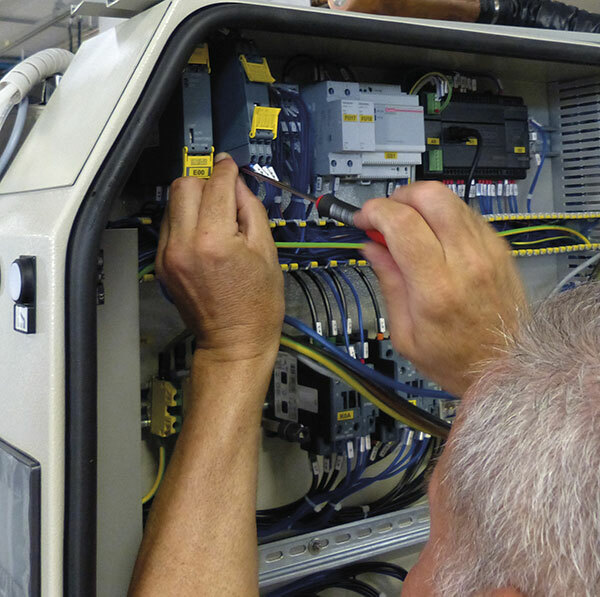 The department is also responsible for programming the PLCs and drafting technical documentation such as production drawings, wiring, pneumatic and hydraulic diagrams and the operation and maintenance manuals. The sales and administration department is responsible for national and international marketing and the administrative management of the company, customer support and logistics. Research center for the continuous process of renewal and technological improvement. Over the last few years, TEKNOX has continued the process of renewal and technological improvement. this technology, which involves the perforation of pipes using lasers, has enabled pressure losses to be reduced and nozzle maintenance times lowered. The redesign of the hot air drying system installed on some models has enabled the operating temperature, and therefore the overall energy consumption, to be reduced and performance to be increased by 30%. The new centrifugal condensation system, specially designed and patented by TEKNOX for water-based washing systems, has enabled the amount of steam that is generated to be significantly reduced and therefore also the cost of condensation equipment. Cleaning quality control system, with automatic report creation. 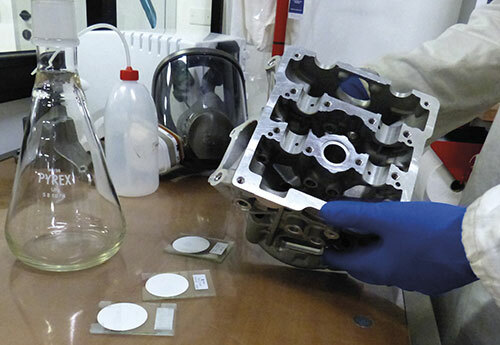 Today, the cleaning standard required in an increasing number of manufacturing industries must meet regulatory requirements in terms of the maximum size and weight of the residual contaminant. 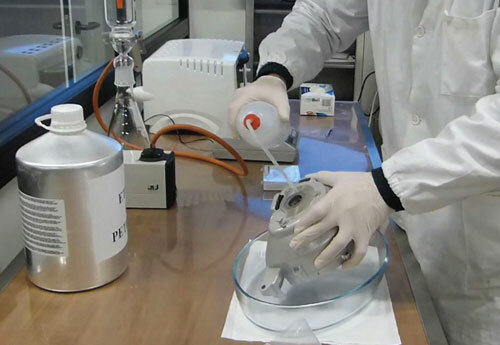 “Cleanliness” control is extremely important in the mechanical engineering, motor vehicle, aeronautical, aerospace and instrumentation industries. TEKNOX provides expertise and equipment to carry out independent laboratory tests. 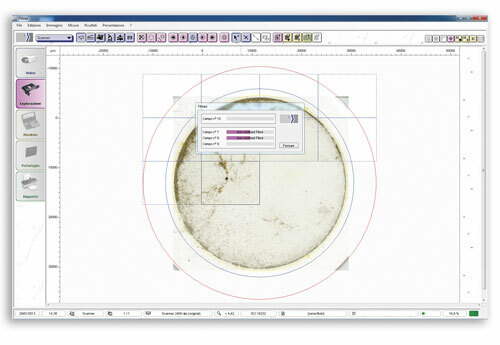 The filter containing the residues left on the treated component are scanned in a single pass. 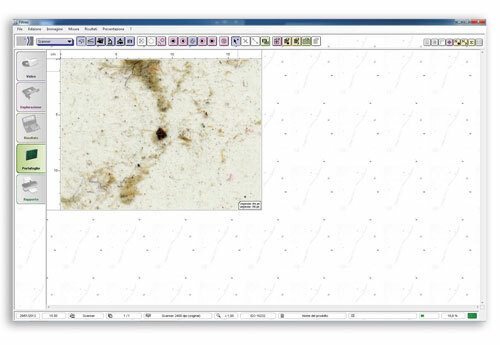 The software analyses the residues according to the reference parameters that have been entered and calculates and classifies them in just a few minutes. The full report function can be run automatically and the data exported to Excel. The results are displayed in a predefined order in accordance with the reference standards and are indicated according to the residue indices and classification categories.